Time for our last stop in Milan! I don’t know why, but this all-vegan place left me a bit cold. 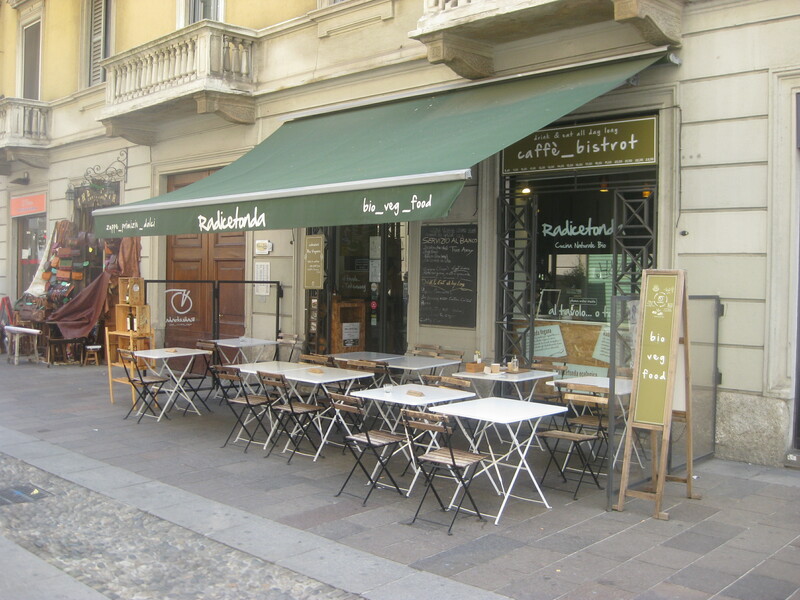 Radicetonda was a last minute addition to our itinerary because it was tolerably close to the central station, but the online reviews hadn’t really inspired me. Also, service was a bit weird – the server was speaking really angrily on the phone while she served us, and threw the phone down in disgust at the end. And the menu was a bit weird too: there were about eight dishes on display and the menu said you could order a plate of three from €10. To the surprise of nobody at all, ours cost more than that, but we had no idea why. We shared our two plates so we could try everything. The first plate had the most delicious farinata, a pepper gratin which was nice but dull, and some tasty rosemary wedges. 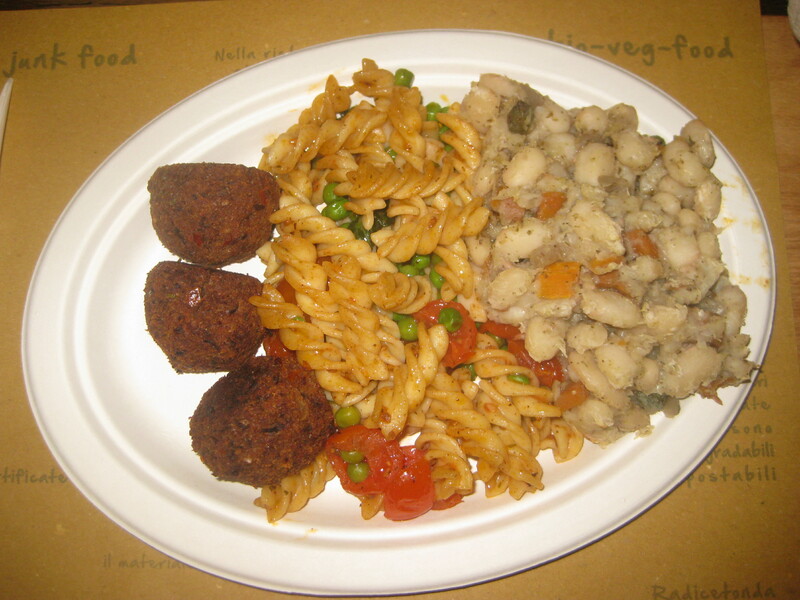 The second plate had some polpette, which were some kind of veg balls that had a slightly bitter taste (I thought they were burnt, but Dr HH really liked them), a lovely fusilli salad and some tasty cannelini beans. Almost everything was nice, but it wasn’t amazing, and it was vastly overpriced. There was a tempting display case of cakes and pastries, so we picked up the last two croissants to take for breakfast the following morning. One was empty, the other had a lovely creamy custard in it, both were delicious. I’d happily return for more croissants, but wouldn’t have a meal there again unless it was an emergency – it wasn’t bad, but nor was it inspired. 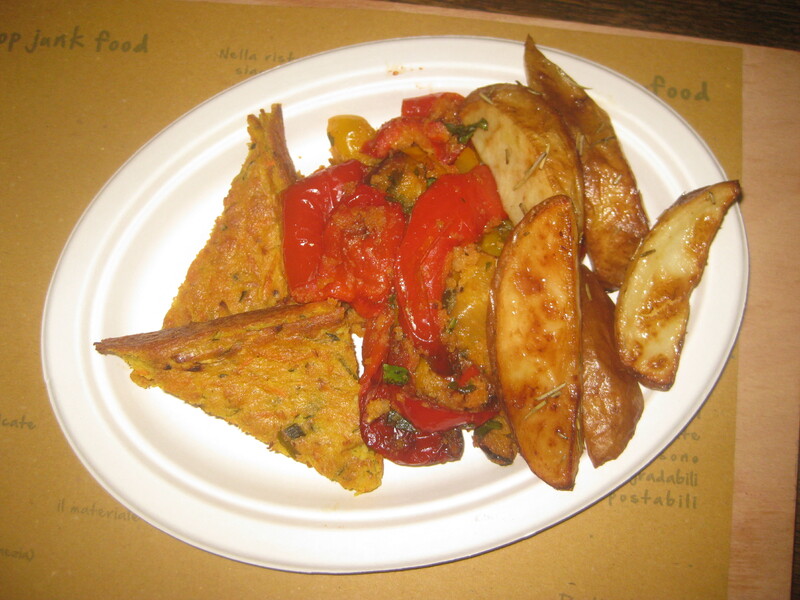 All in all, our vegan experience in Milan was a bit underwhelming. Would Verona be better? Find out tomorrow! This entry was posted in Travel, Vegan Mofo and tagged Radicetonda Milan vegan, vegan Italy, vegan Milan, vegan travel, veganmofo, vgnmf17. Bookmark the permalink. 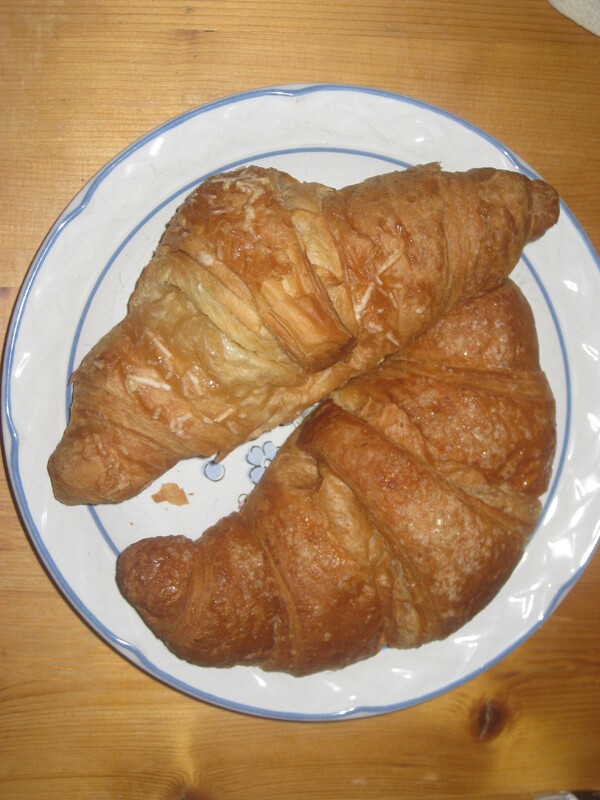 At the places you’ve been do they typically call them croissants or cornettos? 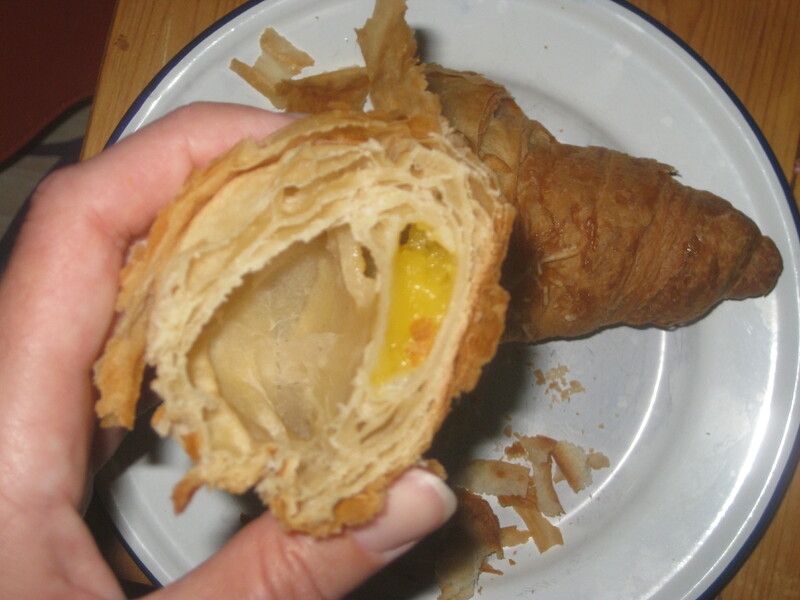 we went to an italian vegan bakery in Montreal and they made the most amazing chocolate filled, orange scented crescents… but called them coronettos. You know, I can’t remember – I probably just did the classic pointing at what I wanted, and whenever we saw an English menu they were just listed as croissants. I don’t remember what the Italians actually called them or how they were labelled.